If you were born in 1931, 1943, 1955, 1967, 1979, 1991, 2003, or 2015 you fall under the year of the Goat (or sheep, or ram…there seems to be some confusion) and this is YOUR year! I personally fall under the year of the Rooster, similar traits! One of my favourite memories as a kid was eating at a restaurant across from where we lived called Sing Lee’s and I loved the paper place-mats that had all the descriptions of what each animal represented and all the years that aligned with which animal. 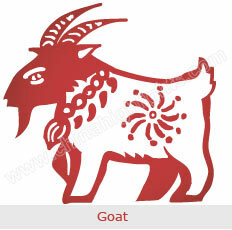 I think I like the Chinese zodiac more so than the traditional one I wrote about some posts ago. Well this will go on record as being my shortest blog entry. Sorry for those who support me and read this blog everyday. I’m so dizzy tonight so going to go and lay down! Also I’m going to start thinking about possible topics for public speaking and best ways to “brand” myself. Need to create a new more polished website and may call on a few friends for help with that!